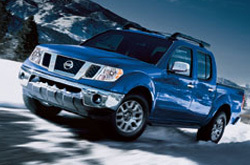 We encourage you to scroll past the YouTube video located below to read a full review of the 2013 Nissan Frontier. There is a reason Texas Nissan is the stellar Nissan retailer in Dallas - Fort Worth. We provide you with Frontier reviews by the best writers in Dallas - Fort Worth. 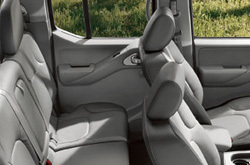 Filled with accessible material and specs, each article gives you full access to everything the Nissan Frontier has to offer. Does the Frontier have your name on it? Read more and find out! When comparing the 2013 Nissan Frontier to the 2013 GMC Canyon, Toyota Tacoma and the Honda Ridgeline, and you'll see that the Frontier beats out those autos in quite a few aspects. Check out just a few of the reasons below. Don't go to a chain car repair shop in Dallas - Fort Worth when Texas Nissan's amazing Frontier experts are only a brisk spin away from your town. We also give our customers confidence with a lengthy warranty on our work - more than most chain shops do. The friendly technicians at our Nissan repair shop in Dallas - Fort Worth will help your Frontier run problem free. From challenging assignments like engine repair to less time consuming work like front and rear brake pad replacement and simple simple multi-point inspections, our Nissan repair employees do it all. Texas Nissan's got your back for all Nissan Frontier maintenances in Dallas - Fort Worth, including simple factory recommended services. The next time you stop by our service department, take a coupon! Now click the link under this text for specials.